FINAL: Mayo 2-4 Galway 0-3 (Claremorris, 9/11/1902). Objection raised by Galway, match refixed. MAYO: W Parsons (captain), M Parsons, J Cahill, M Regan, J Plover, Tom Plover, Patrick Doherty, M Cassidy (Charlestown), M Reilly, R Marsh, A Corcoran, P Sweeney, T Kilmartin (Ballina), Dan Gildea, J McGough (Castlebar), J Gilligan, J Nicholson (Claremorris). (Team from Connaught Telegraph match report, 15/11/1902 – note 17 a-side line-up). FINAL (REFIXED): Mayo 2-2 Galway 0-6. [Claremorris, date unknown]. 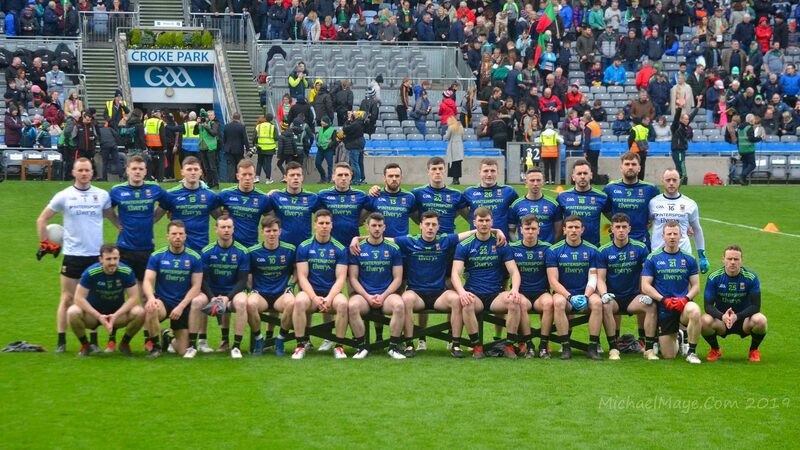 1902 was the first year in which the Connacht championship (for the 1901 season) was contested and so it is in this year that the history of Mayo as an inter-county team begins. The All-Ireland championship was first contested (on an open draw basis) in 1888 and while Padraig Ferguson’s archive includes reference to a match played in Charlestown on 11/11/1888 between teams representing Mayo and Sligo (which ended in an 0-5 to 0-5 draw), it isn’t clear that this match formed part of that initial All-Ireland championship and so I haven’t included it in this results archive. The first time the All-Ireland championship was contested on the basis of semi-finalists drawn from the four provinces was in 1890, although in that year the representatives of Connacht – Galway’s Cahirlistrane – conceded a walkover victory to Wexford’s Blues & Whites. Roscommon took part in the 1892 All-Ireland championship, losing to Dublin by 1-9 to 1-1 in a semi-final played in March 1893. There was then no representation from either Connacht or Ulster in the All-Ireland championship from 1893 to 1899 and there is no record of any Connacht championship having been played in these years either. Galway won the 1900 Connacht title on an unopposed basis and qualified for that year’s All-Ireland final by way of a walkover victory over Antrim in the semi-final. Tipperary, however, put a halt to their gallop in the final.